Put it on your garden table, it will light its environment. Small and slight, it moves wherever you want. 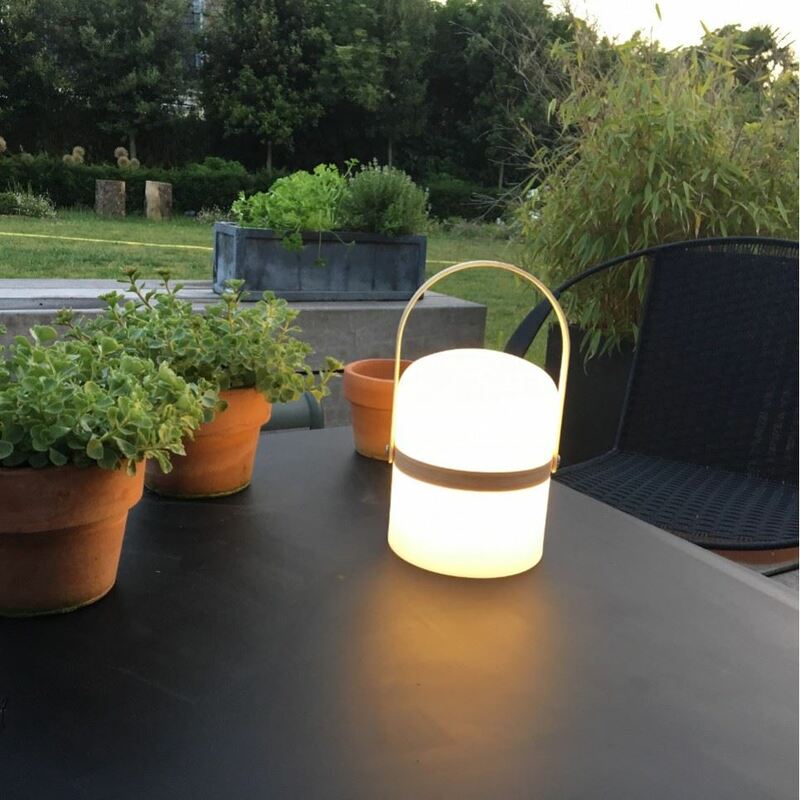 It has a modern and tendance design with and elegant lighting, perfect for your summer evenings. It has a dimmer with 3 intensity levels. This table lamp is made in plastic with a handle in wood. It is provides with the rechargeable battery and the charger. Enjoy your evening as long as you want because this table lamp has an autonomy of 4,5 ours en even until 72 ours in the lower level.